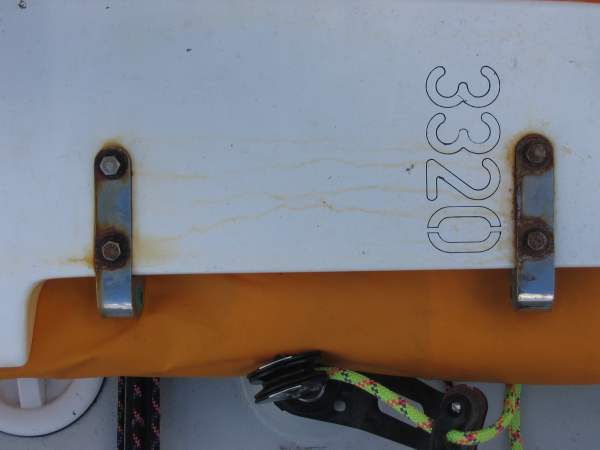 Very unsightly and annoying on our four month old rudder. 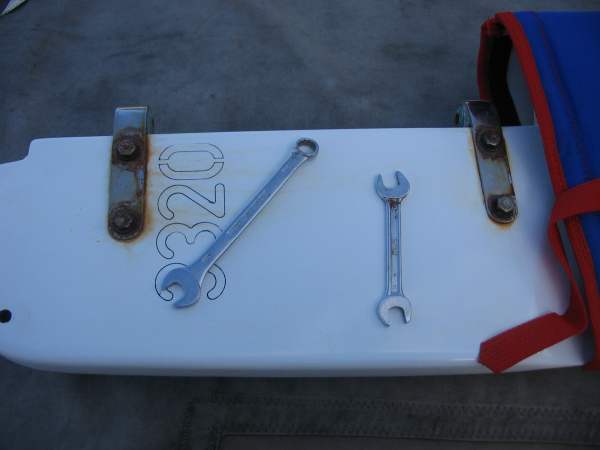 A pair of 13mm spanners are needed to remove the two gudgeons. The bolts undo easily enough, but what a mess! I labelled each gudgeon with S for Starboard to ensure they are reassembled in the same order. 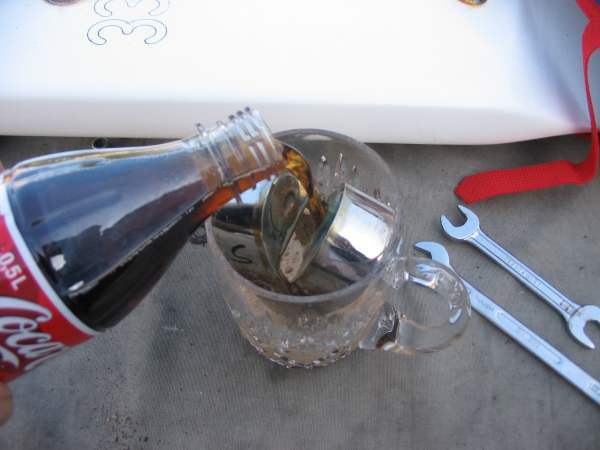 One way of cleaning the rust away, if you have a few days -- soak the lot in Coke! 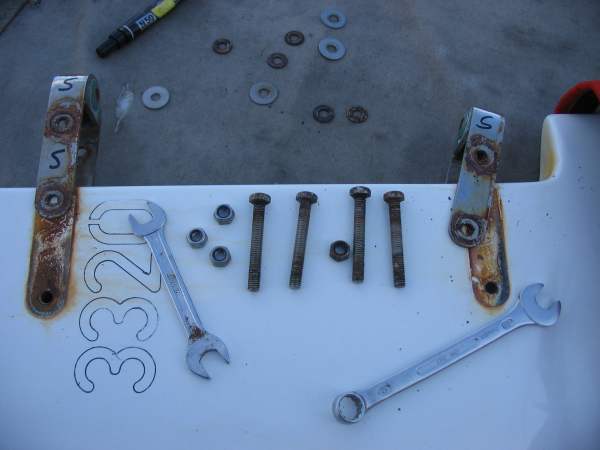 Otherwise, use a green scouring pad and some Cif to clean the surface rust off the gudgeons and the nuts and bolts. 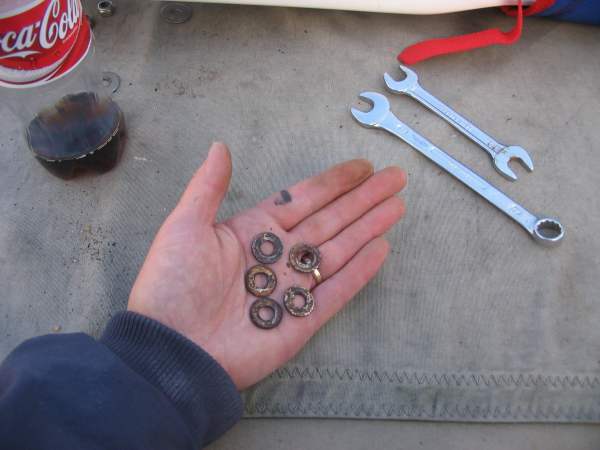 The true culprits: the stainless steel washers. 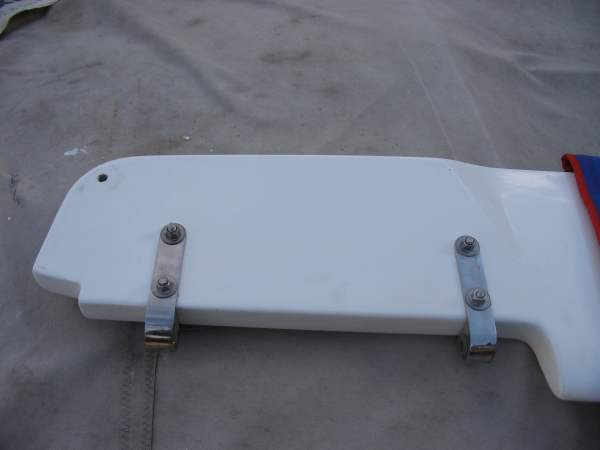 The bolts are stamped "Tigges" which is a German steel fabrication company with a factory in Malaysia. Quality Control? 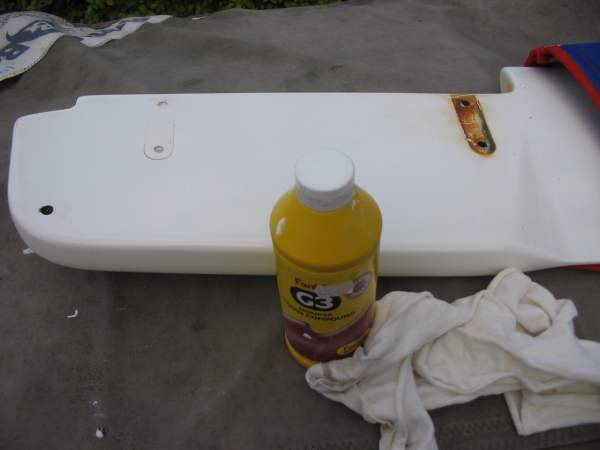 I used a mild abrasive rubbing compound to clean the rust stains without damaging the rudder's gelcoated surface. 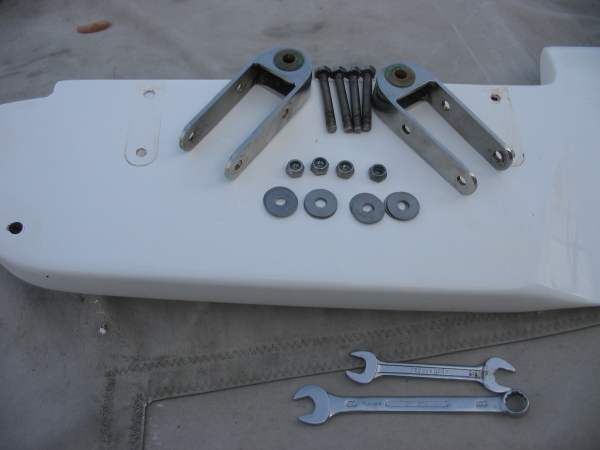 All cleaned up and ready for re-assembly with new stainless steel washers. Silicone sealant is inside the four boltholes. Finished, clean and tidy and ready for sailing.